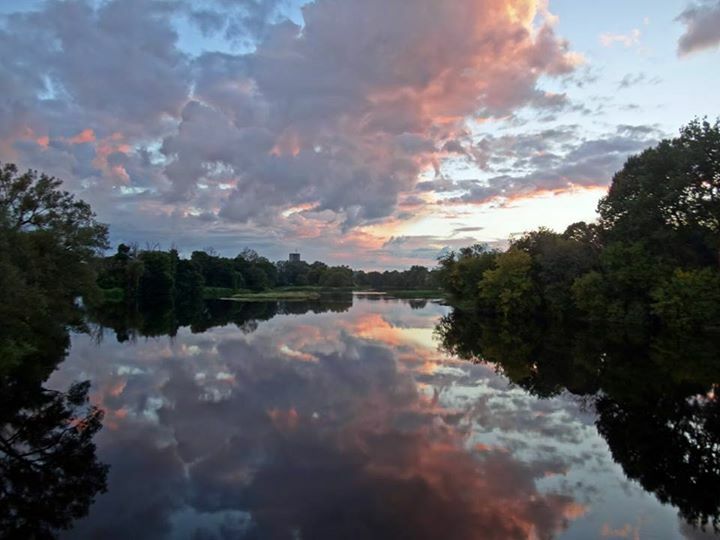 The Rideau River doesn’t flow down to Camelot, although the old City Hall, perched on its island just upstream of the Rideau Falls has its own, nostalgic mistique. 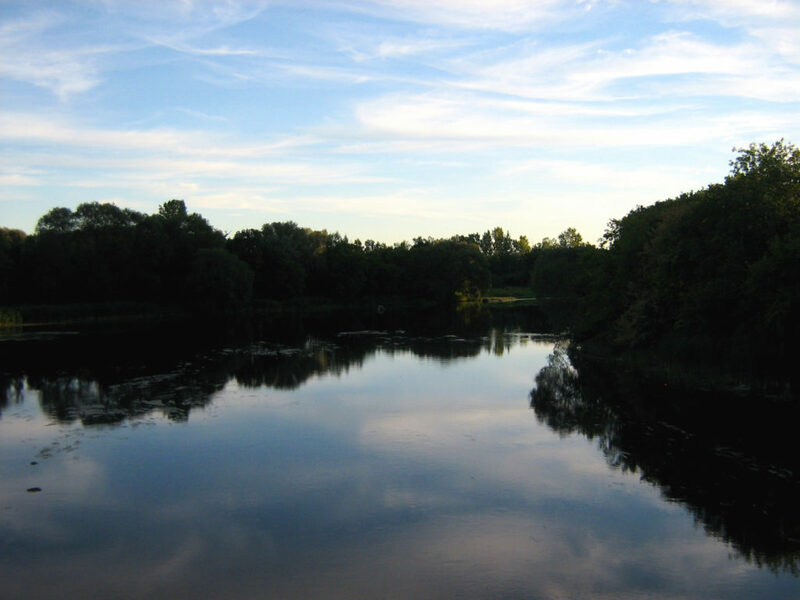 But my romance with the Rideau River has not waned in the twenty-odd years that I’ve lived in Ottawa. In fact, it has deepened. 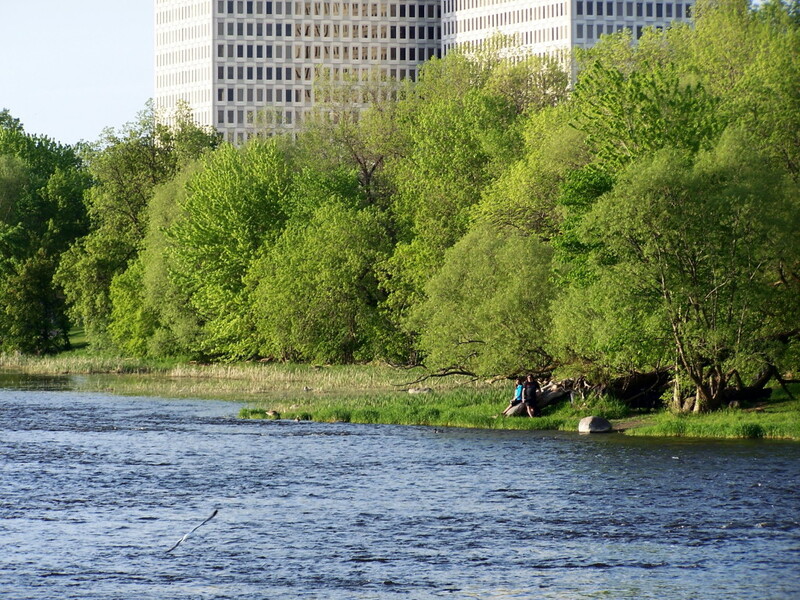 The Rideau River runs for almost 20 kilometres through urban Ottawa, although the section along which I spend most of my time is the 12 kilometre stretch from Carleton University to the Rideau Falls. Several times a week, from late spring until mid-autumn, I ride my bicycle along the bordering pathways. 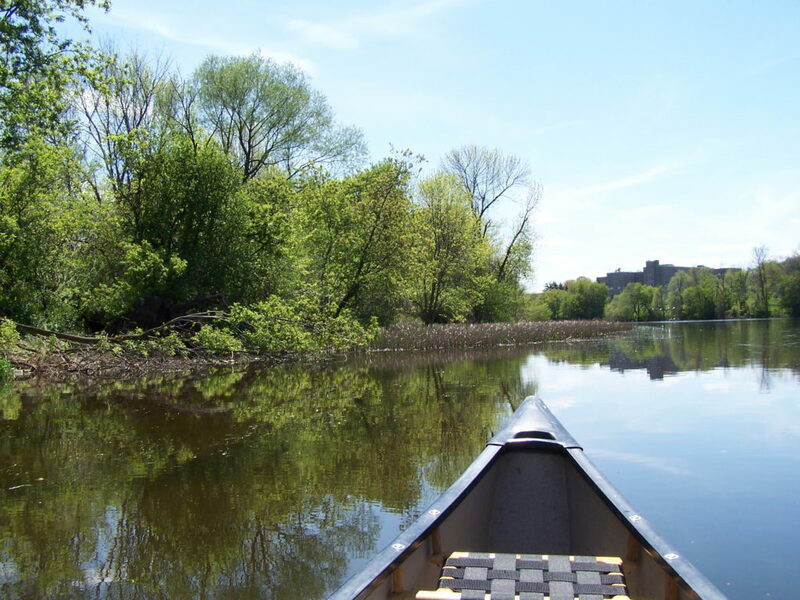 Once or twice a month I put my canoe in at Strathcona Park, and paddle up the river, with camera and binoculars beside me and a big fly trailing behind in the current in the vain hope of picking up a muskie. Or I walk down with my rod and waders to a favourite ledge, where I cast to the big bass that lurk at the edge of a deep channel. On any day, I never know what wildlife I will find at the river. In the winter, mallards and goldeneyes congregate in the swift, open reaches. 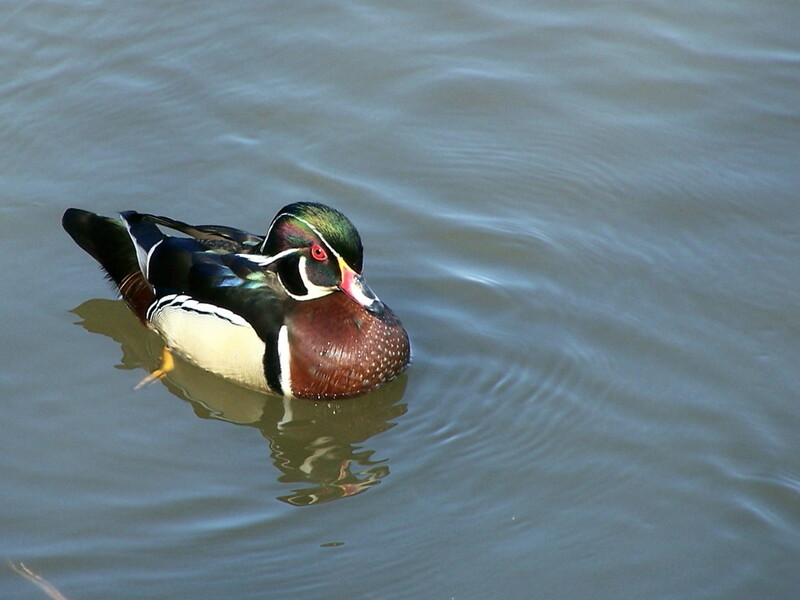 In the spring and autumn, migratory waterfowl pass through: buffleheads, loons, black ducks, common and hooded mergansers…. 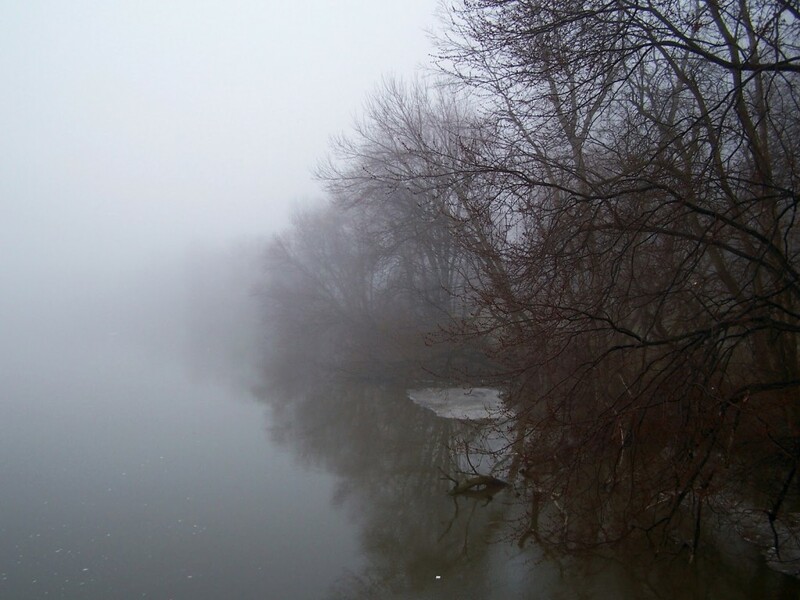 In the summer, the river and the woods teem with birds: more mallards, wood ducks, great blue herons, mergansers, double-crested cormorants, spotted sandpipers, and songbirds of every kind. More than once, I’ve lifted my head to the piping alarm of blackbirds to watch a Cooper’s Hawk fly swiftly across the river. 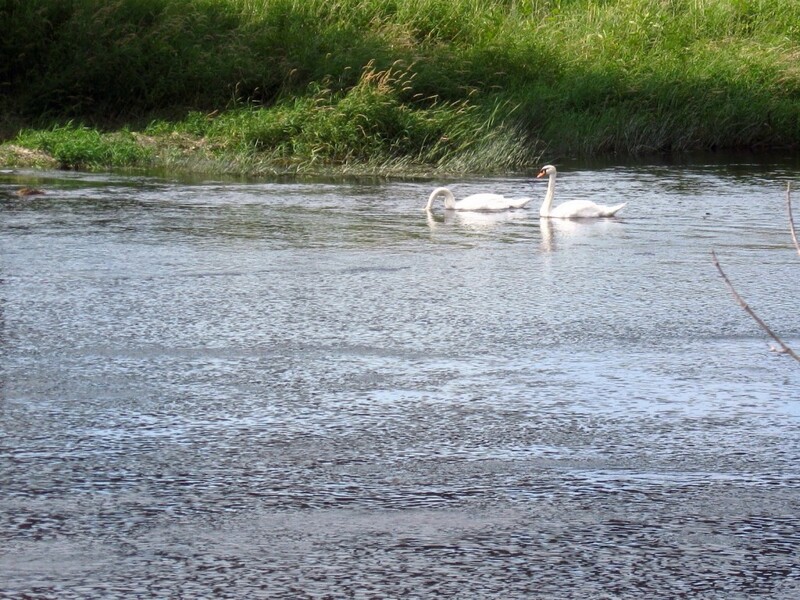 The Royal Swans, released from their winter captivity, glide along the shoreline. 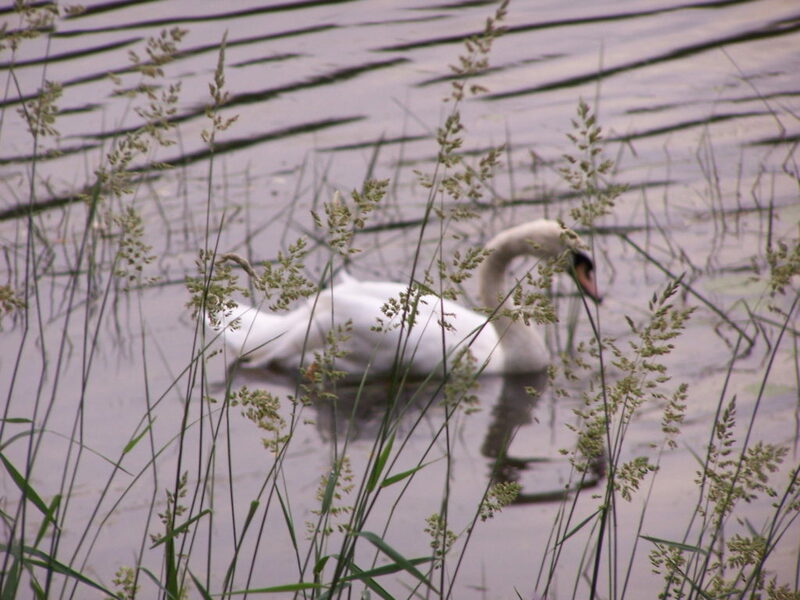 Not just birds frequent the Rideau. Bullfrogs groan in the shallows, and muskrats wind between lilypads and pickerelweed. 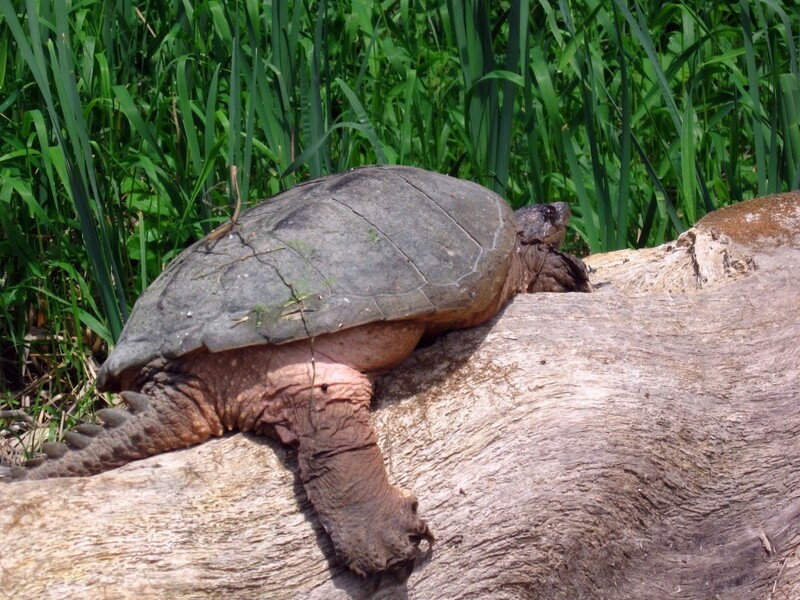 I’ve cruised my canoe up to somnolent snapping turtles, and cautiously edged toward wary painted turtles. On an evening bicycle ride, I’ve exchanged curious stares with an otter. In the dawn of another day, I’ve paddled quietly past a doe and fawn drinking at the water’s edge. 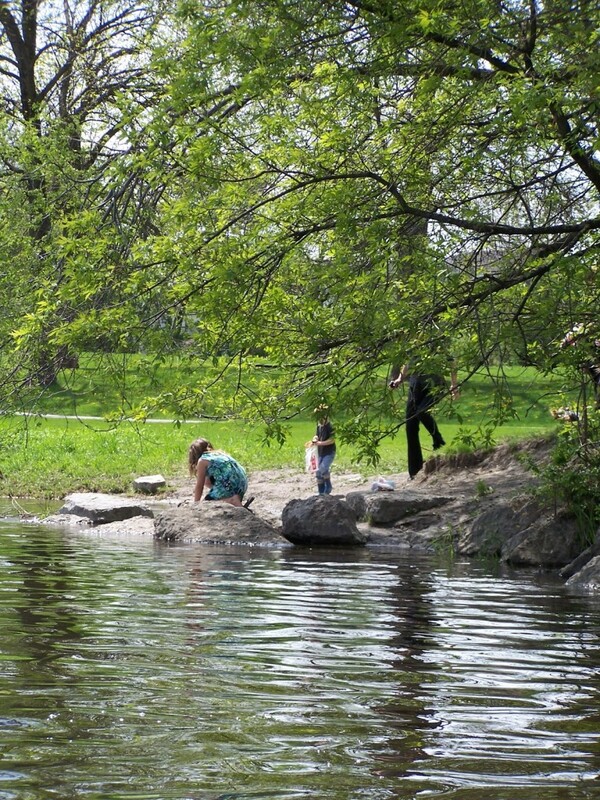 The Rideau River provides a natural refuge and a ribbon of life through the heart of Ottawa. 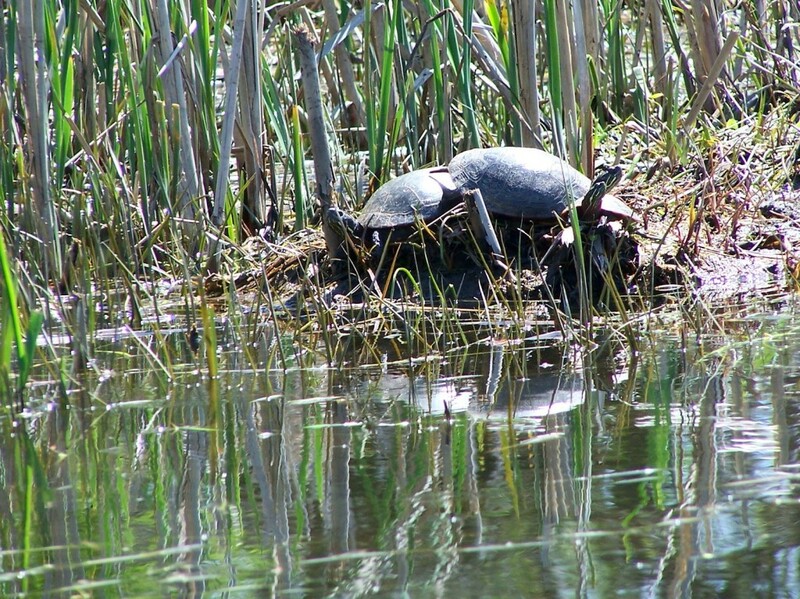 The abundance and diversity of wildlife attests to the health of the Rideau River, especially considering the number of people that come to enjoy its offerings. Some people come to fish. Some come to cool their feet in the clean current — especially at the shallow, limestone ledge that spans the river at Strathcona. Some come to feed the ducks. Some come for exercise, to walk, run or ride along the pathways. Some come merely to enjoy the views, to quiet their minds beside the water, or to hold hands with a sweetheart. I have lived in Victoria, Vancouver, Halifax, Edmonton, and Toronto. I have visited most other Canadian cities at one time or another. 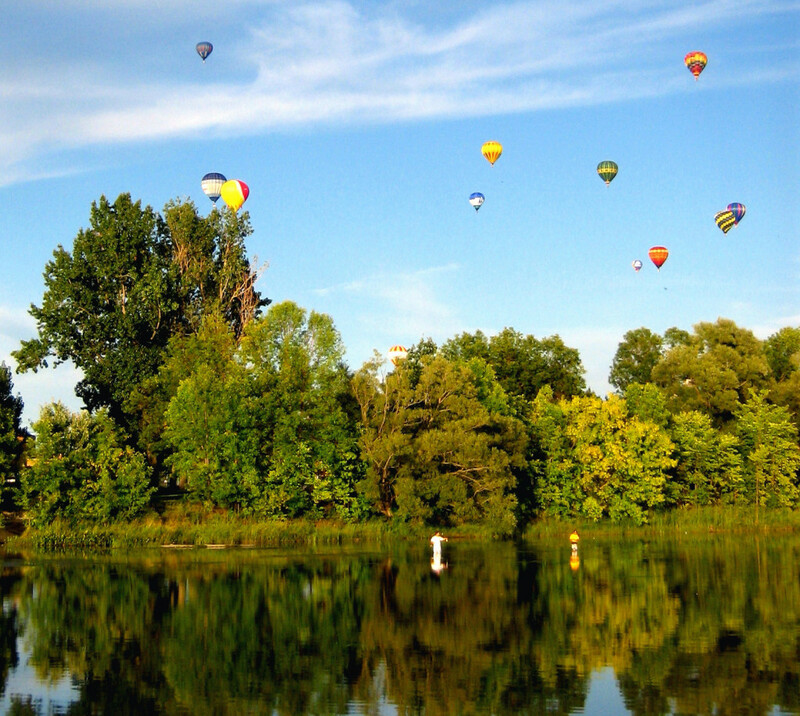 I don’t know any urban, natural space that exceeds the beauty of the Rideau River. In another place — a New York, a London, or a Tokyo — it would be celebrated and promoted. In books and movies, lovers would embrace and part on its shady banks. Photographers would immortalize it. Poets would write of it. In modest Ottawa, though, it rolls on almost unheralded. Perhaps we like it that way. Perhaps that’s the secret of its charms.